Welcome to The Roosevelt Inn, a stunning Coeur d’Alene inn. This grand brick building was the first permanent schoolhouse established in 1905. Now, experience historic elegance at The Roosevelt Inn a romantic and relaxing bed and breakfast located in the heart of beautiful downtown Coeur d’Alene, Idaho. Whether you’re joining us to celebrate a special occasion, or are here for a quick weekend getaway, escape from everyday life in our luxurious rooms and suites of our Coeur d’Alene, Idaho inn. Slow down and rejuvenate and enjoy our unmatched service and hospitality. 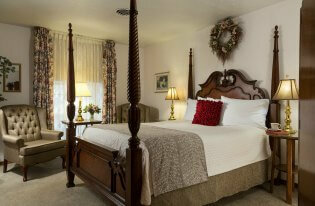 Our Coeur d’Alene bed and breakfast will exceed all your expectations! Enjoy a relaxing cruise on one of the world’s most beautiful lakes. This 90 minute cruise is both informative with a history of the formation of the area and town, as well as a scenic delight. 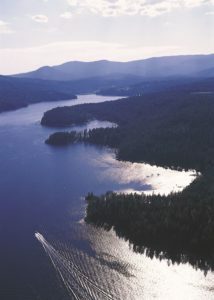 You may see osprey and eagles for an experience you’ll never forget! Choose your favorite room, then add your tickets for this special reduced rate! Requires 1 night stay in any room or suite. $40 for 2 cruise tickets.